Wash Care Instructions Do Not Bleach, Dry In Shade. WHAT YOU SEE IS WHAT YOU GET We strive to make our colors as accurate as possible. Due to monitor settings, monitor pixel definitions, we cannot guarantee that the color you see on your screen as an exact color of the product. 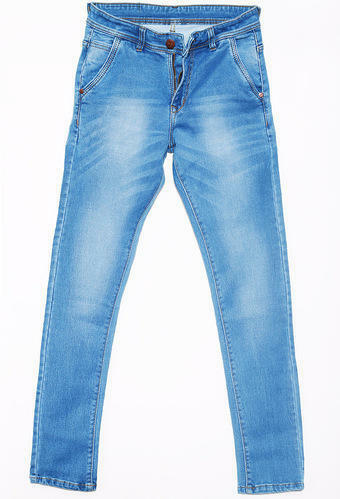 QUALITY GUARANTEED This men's Jeans is made with100% pre-shrunk and pill-resistant cotton. High quality, very stretchy. Still perfect fit even after the wash.
Disclaimer Kindly Refer To The Size Chart (Also In Images) For Fiting Measurements. MADE IN INDIA, MADE FOR INDIADirectly From Manufacturer To Buyer At Lowest Cost Possible. SATISFACTION GUARANTEE If in case, you aren't completely happy with what you got, simply return it within 15 days for a full, no questions asked refund. Then what are you waiting for Click The Buy Button Now! Easto Garments is subsidiary of Easto Group founded by Mr. Gorakh Rai, who is a multi-talented human being who can mould pin to plain as per his need. So he had started a new venture for the convenience of the worlds 56% population of women who need it to be special for the big moments of their life. Easto Garments is a notable name among manufacturer and exporter of Ladies Corsets. The company is engaged in making available rich and exclusive collection of Overbust Corset, Sequin Corset, Satin Corset. The best quality cotton, poly silk, satin, brocade, etc. are used in the production of Ladies Corsets, available with us. The latest CAD facility and lean manufacturing technology have helped us in bringing out the most beautiful Ladies Corsets in attractive patterns and impressive colors. Easto Garments is a Faridabad (Haryana) based company that was set up in the year 2012. It is running very successfully with the capable guidance of Mr. Gorakh Rai, who holds the designation of Managing Director. The company needs to spread the “Looking Gorgeous” theme to this womanized world of fashion. We could enhance feminine grace & elegance with our beautiful Corsets. We have our own brand range which is known as Viona Corset.